With our new online system, you can check in and reduce the time you spend in the waiting room. Simply click on the button below to start the process. Since October 1 last year, millions have signed up for new health insurance coverage under the health care law. They’ve signed up either for private insurance through the Health Insurance Marketplace or for the Medicaid program. There’s still time for you to enroll and have coverage as soon as May 1. All you have to do is sign up with the Health Insurance Marketplace by March 31. The Health Insurance Marketplace helps people who need health coverage to find it. When you fill out the Marketplace application, you’ll find out if you qualify for a private health insurance plan and whether you qualify for lower costs based on your household size and income. 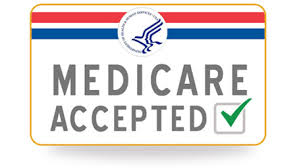 Some people may qualify for the Medicaid and Children’s Health Insurance Programs in their state. Even if you don’t qualify for lower costs, you can still use the Marketplace to buy insurance. Pay your premium to your health insurance plan by the due date. Carefully review your member card and other materials your plan sends you. Review your plan’s provider directory so you’ll know where you can go for care. Contact your plan with any questions or if you don’t get a member card and enrollment materials. Insurance plans will no longer be able to charge you more or refuse to provide coverage for you or your family if you have a pre-existing condition. HealthCare.gov and CuidadoDeSalud.gov are ready right now with information on the Marketplace. Or you can call 1-800-318-2596, any time day or night. Hearing impaired callers using TTY/TDD technology can call 1-855-889-4325 for assistance. Only plans offered in the Marketplace offer lower costs based on income. When you apply for coverage in the Marketplace, one streamlined application will cover everything including eligibility for Medicaid or the Children’s Health Insurance Program (CHIP). With that same application, you’ll find out if you are eligible for lower costs on your premiums or out-of-pocket costs based on income. Sign up for coverage online or by phone. Go to HealthCare.gov or CuidadoDeSalud.gov, or call the 24/7 Call Center at 1-800-318-2596 (1-855-889-4325 TTY/TDD). Facility was very clean. Very short wait. The doctor and x-ray tech were great!! Fast and friendly. Was in and out in about an hour, and the PA and nurses were great. Much better experience than the ER. The Affinity care clinic in Galveston was wonderful. I walked in Memorial Day (without an appointment) and was seen by a very courteous and helpful staff. I highly recommend them. My experience at this urgent care facility was a pleasant one. I brought my daughter in due to an allergic reaction. The staff members there were awesome! I was very impressed by this urgent care center in so many ways. The staff is very professional, friendly, and helpful.